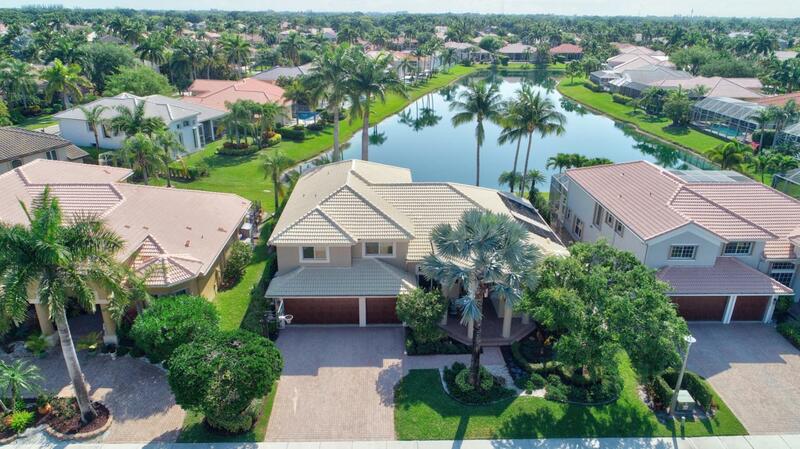 Best Premium lakefront 5/4/3CG extended Palm Beacher Model Pool home on oversized landscaped lot. Vastly updated an upgraded.Beautiful in/out and maintained to perfection.Custom gourmet kitchen with Stainless Steel appliances, granite countertops, double oven, Sub zero Ref. Features included,New Impact decorative front doors and Hurricane Garage doors. Solar panels for around the year swimming .Outdoor kitchen with a Refrigerator , Grill plus a Motorized Awning. Portable Generator and Separate Electrical panel .Built in entertainment center with surround sound speakers inside and outside .Beautiful travertine stone floors though out lower level. Plantation shutters throughout. 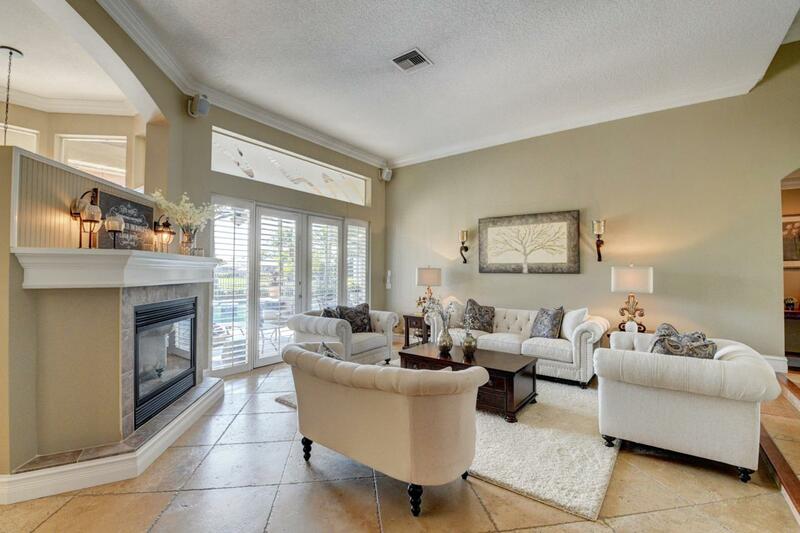 HOA includes 24 man guard gate, fitness, pool/spa, tennis,meeting rooms, high speed internet ,TV.Beautiful expanded Palm Beacher model. 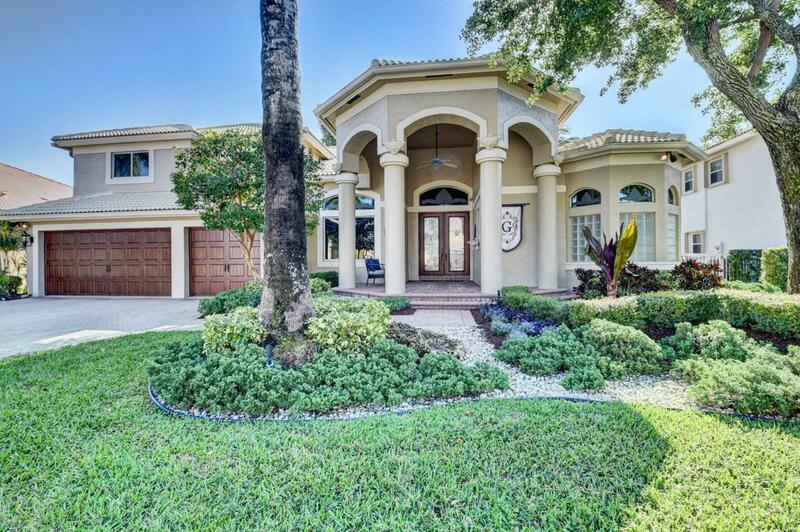 5 bedrooms 4 bathrooms with loft and master on first floor and 3 car garage Stunning lake views from almost every room in the house. Exterior Freshly painted inside and outside Lush landscaping Oversized Pool with Solar panels for around the year swimming. New upgrade Pool pump. Beautiful Pool area with plenty of space to entertain. Outdoor kitchen with Refrigerator and space for a grill. Patio furniture included. Motorized Awning. French Doors leading out to the patio Kitchen- Gourmet kitchen with all stainless steel appliances. Brand new dishwasher in 2018. Kitchen aide sub-zero refrigerator. Granite counter tops. Upgraded Ceiling in kitchen Large laundry with New was Washing Machine is 2019. Loads of storage in kitchen all around the island. Soft close drawers New Impact decorative front doors and garage doors. GAS burning fireplace Portable Generator and Separate Electrical panel Office on main level with multiple work stations and cabinets Great room Built in entertainment center with surround sound speakers inside and outside Beautiful travertine stone floors though out lower level. Plantation shutters throughout the house. Crown molding and upgraded base boards Ceiling fans throughout Upstairs- 3 bedrooms and 2 bathroom. Loft with built ins for entertainment. Loft contains glass inserts for noise reduction A/c units with HEPA filtration and ultra violet lighting. 1 new installed in 2017 and touchscreen thermometer 250lb underground propane tank for fireplace outdoor grill etc Larger attic space for storage Great neighborhood!! 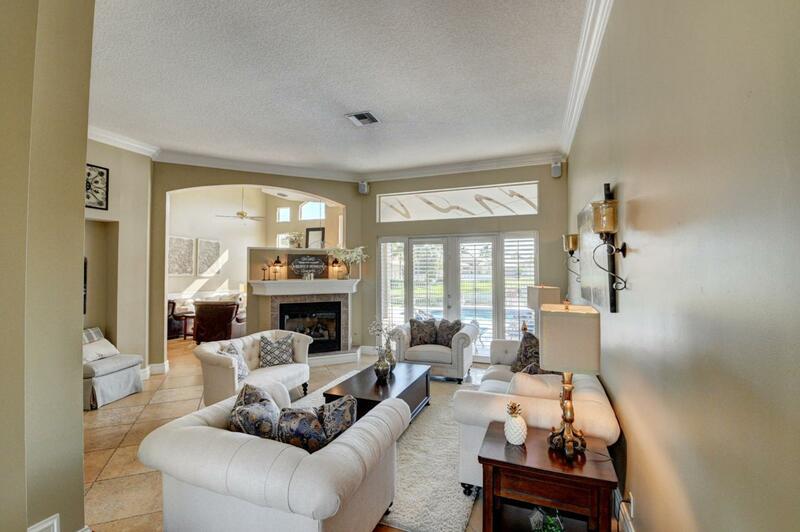 !GREAT SCHOOLS, CLUBHOUSE INCLUDES FITNESS CENTER, BASKETBALL, TENNIS COURTS, POOL AND SPA, PLAYGROUND !!! MUST SEE !! !